Sixty years Congress has been doing injustice to Telangana.Jairam Ramesh's latest comments are a direct testimony to minister Harish Rao.He spoke to the media on the residence of minister Harish Rao at Siddipet on Monday.The meeting was attended by Minister Indra Karan Reddy, MPs Gutta Sukendar Reddy, and BB Patil.Minister Harish Rao said that the national parties like Congress and BJP are united in distorting Telangana.The first signing of AP special status is when it comes to power at the Center and the Congress is bankrupt.Why does the Congress of Telangana state that is unfair in all sectors?Polavaram was given a national status and the Congress has shown a grin hand to the Pranahitha. Pranaitha - Chevelle was given a national status if the Telangana government had no debts this day.The Telangana Congress leaders are on a bus trip today with no face.Jairam's comments should be made after the clarity is given.Will Jai Ram justify the comments?Both the national parties, both the Congress and the BJP. 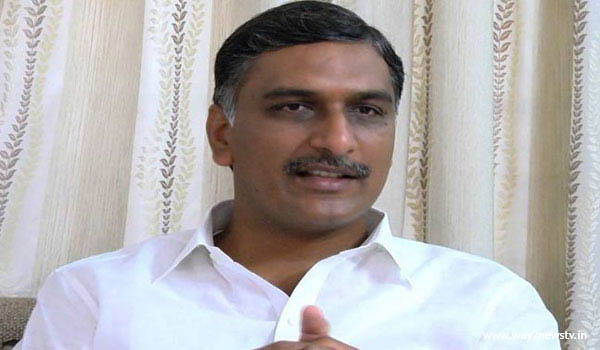 In the absence of Telangana - Congress has criticized the BJP-both parties are okay.BJP's national status to the Kaleshwaram project was unfair.He said that Prime Minister Modi had given Telangana to the doors closed and the people of Telangana were shocked.The Telangana Special State wants more than the area that has been withdrawn.Minister of State Harish Rao said that the backwardness of Telangana is not funding, projects and giving preference to the states that have developed.